Much as musically-inclined people lament current standards of interpretation and performance and long for distant eras populated by artists whose names instigate arguments among observers who never experienced their work, it cannot be claimed with any degree of veracity that any one moment in human history has been more richly blessed with the presence of truly great artists than another. There are in any era many accomplished, admirable personages whose efforts distinguish them from their earnest but uninspired contemporaries, but the genius of a Michelangelo, Molière, or Mozart is exceptional in any age. Arguably, the surest foundation of genius is universality: beauty in almost any work of art can be discerned by senses conditioned to identify it, but recognition of the expressions of humanity in Michelangelo’s Pietà, Molière’s Tartuffe, and Mozart’s Così fan tutte requires no special conditioning. There is perhaps some irony in the fact that a touchstone of artistic genius is that the observer need not be a genius in order to appreciate it. Important art does not demand to be noticed: it conveys its message, and even those who do not wholly understand it are aware of having experienced something remarkable. That American countertenor Anthony Roth Costanzo is an extraordinary artist and ARC, his début recital disc for Decca Gold, a work of once-in-a-generation significance is apparent from one glimpse of the disc. Gazing at the listener from a kaleidoscopic, mosaic-like painting by George Condo, Costanzo opens a portal into a private world in which images, words, and tones collide in bursts of artistic fusion. Venturing into the singer’s introductory essay, the reader meets a man of disarming honesty and wit, assured but never arrogant, confident in the integrity of his artistic choices but willing to concede that some listeners may be skeptical about the wisdom of a recital in which music by Georg Friedrich Händel is partnered with pieces by Philip Glass. Above all, he is grateful for the listener’s company on an expedition that, like a trek on Europe’s Camino de Santiago, exposes unfamiliar vistas along the path to heightened understanding of the intersections of traditions past and present. Costanzo addresses the listener not as an anonymous entity but as a fellow pilgrim, a seeker of renewed equilibrium amidst uncertainty, and an equal whose responses to the performances on this disc are genuinely valued. Vocally, the performances on ARC are characterized by an evocative synthesis of suavity and virility, qualities exuded by Costanzo’s artistry in any repertoire that he sings. Not one moment of his work on ARC is in any way didactic, but his is singing from which much can be learned. ARC is a disc that unmistakably affirms that tonal beauty and expressive sincerity are valid traits in performances of music of any vintage. Moreover, Costanzo resurrects the spirit of individuality that was formerly such a vital aspect of artistic personalities but is now conspicuously absent from the work of too many of today’s singers. Though ARC abounds with alluring tones, it is apparent that the production of beautiful sounds is neither the sole nor the foremost objective of Costanzo’s singing. Rather, communicating the words and their meanings is the ultimate destination of his artistic journey. Particularly in the context of ARC, what makes Costanzo a compelling artist is trust: he trusts the probity of poets’ words and composers’ music, he trusts the support provided by his colleagues, and he trusts his own intelligence and vocal acumen to establish connections among poets, composers, musicians, and listeners. Under the leadership of the ensemble’s incoming Music Director, British cellist, keyboardist, and conductor Jonathan Cohen, the musicians of Les Violons du Roy play with involvement that renders them participants in, not just accompanists of, the performances on ARC. The vigor and virtuosity of the ensemble’s historically-appropriate playing of Händel’s arias are not surprising, but the finesse and panache of their handling of Glass’s music, much of it arranged for these performances by Michael Riesman, are two of ARC’s greatest strengths. The timbre of each instrument resounds with clarity, but the textures woven by the ensemble en masse are astonishingly intricate, not least in the repetitive figurations of Glass’s music. Paced by Cohen with an unerring sense of balances between emotion and momentum, the orchestra’s music making echoes the sensibilities of both the composers’ word settings and the singer’s realizations of them. In the Glass selections, it is the modernity of the sounds produced by the instrumentalists that is most striking. Cohen shares Costanzo’s affinity for seeking the essence of a piece within the music instead of in perceptions of it. With their performances on this disc, Cohen and the Les Violons du Roy musicians eradicate any suggestion that the playing of period instruments is period-specific. First performed in 1715, Amadigi di Gaula (HWV 11) is not among Händel’s best-known operas, but it contains in Dardano’s sarabande ‘Pena tiranna’ one of the composer’s most exquisite arias. Composed not for the star castrato Nicolini, who created the title rôle, but for Venetian contralto Diana Vico, a singer whose gifts were sufficient to garner primo uomo parts even in casts that included Farinelli, the aria’s vocal line intertwines with languid writing for oboe and bassoon, here gorgeously played by the Violons du Roy musicians. The gnawing ache of Dardano’s unrequited love courses through Costanzo’s urgent, long-breathed phrasing, and his plangent tones credibly enliven the character’s despair. The name part in Flavio, re de’ Longobardi (HWV 16) was composed for alto castrato Gaetano Berenstadt, who was also the first Tolomeo in Giulio Cesare and Adelberto in Ottone, re di Germania, and he inspired another of Händel’s most memorable arias, ‘Rompo i lacci,’ sung by Costanzo with ease that belies the music’s difficulty. The countertenor’s invaluable ability to spotlight the dramatic impetus of bravura passages is wonderfully apparent in this piece, each accurately-pitched, fully-articulated note fitted into its proper place within the aria’s musical and psychological structures. Though it was first sung in the opera’s 1711 première by soprano Isabella Girardeau, Almirena’s aria ‘Lascia ch’io pianga’ from Act Two of Rinaldo (HWV 7) has since the release of Gérard Corbiau’s 1994 film Farinelli been a sort of countertenor anthem. In truth, the aria’s tessitura is awkward for many countertenors, a reality tacitly acknowledged by the sometimes clumsy technological amalgamation of the voices of a countertenor and a soprano employed to produce Farinelli’s singing voice for the cinema. No trickery is involved in Costanzo’s singing of ‘Lascia ch’io pianga,’ however: the magic that he creates is authentically mesmerizing. His singing offers a lesson in the hypnotic power of purity of line and interpretive simplicity, the words caressed without ever being crooned. The contrast with the bravado with which he detonates the explosive fiorature of Bertarido’s ‘Vivi, tiranno’ from Rodelinda, regina de’ Longobardi (HWV 19) is therefore all the more effective. His Bertarido is convincing as a deposed monarch sparing the life of the usurper of his throne, but the heart of a loving husband cruelly separated from his wife also beats palpably in Costanzo’s vocalism. Crafted to exploit the histrionic prowess of one of Händel’s most frequent collaborators, the renowned castrato Senesino, the powerful scene for the long-suffering titular king from Act Three of Tolomeo, re d’Egitto (HWV 25) benefited from the complete engagement of its composer’s theatrical flair. In this performance, the disc’s title is confirmed to represent more than its leading man’s initials. Traversing the emotional shifts of ‘Inumano fratel,’ Costanzo fashions an arc of ardor that reaches its apex in the arioso ‘Stille amare,’ voiced with yearning and directness via which the fates of kings and kingdoms become movingly personal. In this singer’s performance, the title character’s much-abused ‘Ombra mai fu’ from Serse (HWV 40), one of its composer’s most innovative scores, is neither saccharine nor exaggeratedly sultry. A king’s ode to his favorite tree, it is evocative enough on its own terms, without a singer imposing a post-Freudian subtext upon the music. Here, too, Costanzo achieves an uncommon degree of intimacy by approaching both words and music with manifest honesty. A countertenor’s proficiency in singing Händel repertory is not unexpected, but the excellence of this countertenor’s singing of the Händel arias included on ARC exceeds all expectations. It may seem nonsensical to propose that Philip Glass is to some extent the most Baroque of contemporary American composers, but, like the term Baroque, Glass’s singular musical language defies easy definition and classification. As practiced by Händel, the animus of the Baroque aesthetic was the carefully-wrought amalgamation of ancient and contemporary styles, and Glass’s work can be said to adapt a similar philosophy of anticipating the future by building upon the past. It is no coincidence that Glass has often been inspired by mythological and historical figures, his musical depictions of them and their modern incarnations shaped by contemplation not only of his own reactions to them but also of which musical accents suit them. Thus, the prescient plainspokenness of Mahatma Gandhi permeates Satyagraha, and the pragmatism of its subject pulses in the music of Galileo Galilei. Glass’s musical portraits sound nothing like Händel’s, but they often feel much alike. Scrutinized with tremendous insight, these feelings form the nucleus of ARC. Thoughtful phrasing is no less crucial to the efficacy of performances of Glass’s music than to those of Händel arias, especially in the wordless effusions of ‘The Encounter’ from 1000 Airplanes on the Roof. Many singers’ enunciations of verbose texts impart less emotion than Costanzo’s intoning of the ‘ah’ that is the lone verbalization of ‘The Encounter.’ In his singing of this syllable are streams of recognition, interaction, and affection, propelled by the voice’s tonal fluidity. The voice also flows hauntingly through David Byrne’s text in ‘Liquid Days.’ Artifice would destroy the impact of lines asserting that ‘Love watches Television / Love needs a bath / Love could use a shave,’ but the guilelessness of Costanzo’s performance heightens the poignant relationship between Glass’s effortlessly eloquent music and the touchingly ordinary imagery of the words. Its text drawn from the writings of Thirteenth-Century Persian poet and scholar Rumi, ‘In the Arc of Your Mallet’ from Monsters of Grace epitomizes the perspicacity of capitalizing on the innate of musicality of words found in Glass’s best work. In a piece like this, he seems almost to have composed nothing at all, having merely listened with ears and heart and transcribed the sounds of the poetry. This is a hallmark of Glass’s ingenuity, and Costanzo is an ideal conduit for the composer’s expressive energy, here singing ‘In the Arc of Your Mallet’ with a spectrum of colors rarely wielded by a countertenor voice. Still, it is his performance of ‘How all Living Things Breathe’ from The Fall of the House of Usher that is the sentimental climax of ARC. The straightforward pathos of his plea ‘Don’t go anywhere without me’ is unforgettably affecting, and the quiet intensity with which he sings ‘You’re the road and the knower of roads, more than maps, more than love’ is arresting. Controverting the Dante’s frequently-quoted observation about the pain of recalling past happiness in times of misery, Costanzo’s voice is most enchanting when expressing anguish, his vocalism injuring and healing at once. To hear him is to suffer the wounds of life and also receive the balm to soothe them. No fewer than three of Händel’s operas—Tolomeo, the frequently-performed Giulio Cesare, and Berenice—are swayed by Egyptian characters, the strife within their own land and conflicts with other cultures in which they are embroiled having captivated the composer’s imagination. Glass, too, has looked to Egypt for creative stimulus and most notably channeled his inventiveness into bringing episodes from the Eighteenth-Dynasty reign of the pharaoh Akhenaten to the stage. The title rôle in Akhnaten, Glass’s cautionary tale of the dangers of ambition and religious fervor and the culmination of his biographical trilogy launched with Einstein on the Beach and continued with Satyagraha, was originated in the opera’s 1984 première in Stuttgart by British countertenor Paul Esswood, to whom Costanzo has proved in productions in London and Los Angeles to be today’s best-qualified successor. He furthers that impression with a performance of the controversial ruler’s ‘Hymn to the Sun,’ the pivotal scene that ends Act Two of Akhnaten, that is a fitting finale to ARC and, more momentously, a definitive account of the piece. Subtly emphasizing the gravitas of the transitions from major to minor modes, Costanzo portrays a man of prodigious charisma, his voice radiating the security of a visionary. As in every piece that he sings on ARC, his intonation and rhythm are flawless. Singing of this caliber is worthwhile for its own sake, but, allied with the kind of expressivity that Costanzo brings to this music, it is inestimably precious. Nonsensical though the notion may seem, individuality can be an obstacle in today’s musicians’ endeavors to balance artistic fulfillment with solvent careers. It is alarming to consider when assessing the legacies of artists of past generations how their careers might be different in the Twenty-First Century. The quality of their vocal capital notwithstanding, would Beniamino Gigli and Jussi Björling now be sent to gyms before being welcomed into opera houses? Would Lily Pons be told that the highest reaches of stardom are beyond the grasp of a lady of very petite stature? Would Cristina Deutekom be counseled that success depends upon sounding more like some other, more conventional singer? The concept of the fascinating multimedia project effectuated in conjunction with the planning and release of ARC would likely have bewildered Gigli, Björling, Pons, and Deutekom, but they would hear in Anthony Roth Costanzo’s singing the same level of musical mastery that contributed to their own artistic triumphs. By the standards of any era, ARC is a triumph of individuality, musicality, and artistic inquisitiveness. 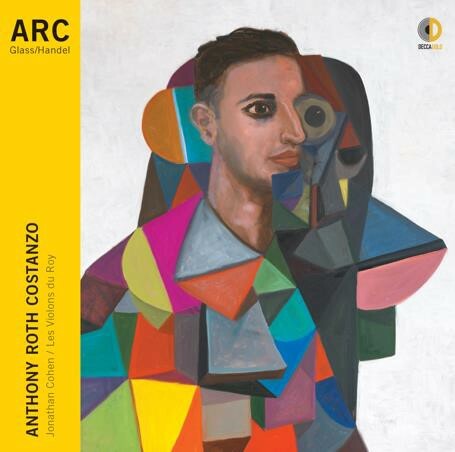 Blazing one’s own artistic path is not always the safest, most profitable choice, but Anthony Roth Costanzo chooses the road less traveled by, and, in the case of ARC, that has indeed made all the difference.